Greetings from the staff and children of City of Refuge. 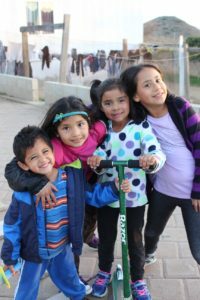 Over the past 40 years, it has always been our delight to house the many groups that come to the mission throughout the year from many parts of the USA and Canada to help us with our work here in Tijuana and Rosarito, Mexico. Our goal regarding our guests and volunteers is to try to bless them, too, with our hospitality and love, and to try to make their stay as comfortable as possible. We also hope to help you accomplish all of your goals while you are here with us. The work your group does here is priceless for our children’s home. We would not have such a nice place if it was not for the many hard hours of work that so many groups have poured into these walls, and more importantly, the love you have poured into the lives of the staff and children here at the home. We feel you are family, and we welcome you to our home. To get more information about setting up a mission trip with us, to schedule a mission trip, or to get an updated copy of our fees and costs, please contact me by email. For other information about our home and our mission trips, or to obtain the forms needed to register yourself or your group, please use the other links on this page. And if you can’t find it here, we will be happy to answer any other questions you might have via email. We sincerely look forward to your coming visit, and we pray that God will bless your efforts on behalf of the children at our Mission.